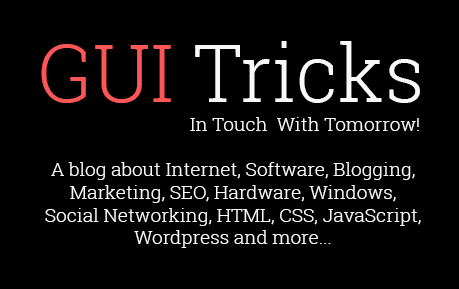 7 Insightful Tips To Make Your Magento E-commerce Website SEO Friendly | GUI Tricks - In Touch With Tomorrow! 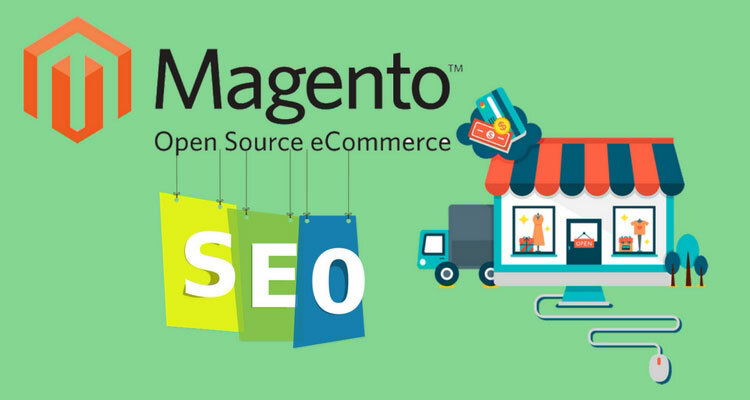 7 Insightful Tips To Make Your Magento E-commerce Website SEO Friendly - GUI Tricks - In Touch With Tomorrow! In this fast moving age, shoppers across the world are increasingly turning to E-commerce websites to purchase the products/services they need. Sensing the trend, several entrepreneurs have gone online to give a great lift to their traditional businesses and become a brand in the E-commerce business. The success in E-commerce landscape depends largely on how well you optimise your E-store using the latest practices of SEO. Yes ! You heard it absolutely right. SEO determines your site's ranking on different search engines and helps you to generate the desired business on the web. If your E-commerce site enjoys a decent placement in search engine results, you get a fair amount of remuneration in your wallet. If you run a Magento site, you can also make it SEO friendly to meet the ultimate goals of your E-commerce business. But, how can you do that? Let's cast a look at some careful tips, enabling you to perform this action easily and smoothly. Whenever you add new products or categories, Magento automatically creates custom URLs. Such URLs are long and are not preferred by Google for displaying results for terms used by visitors. Even people are suspicious about visiting such complicated URLs considering them SPAM. Therefore, you must customize your site's URLs and make them simple and clear to all. If you do so, search engines index and rank your Magento store very well. As the status of product pages on E-commerce websites keep changing frequently, the manual process of URL customization can waste your valuable time and energy. To accomplish this action easily and quickly, you should use Magento extensions. Generally, “no indexing” features are used by web developers to stop search engines from indexing the incomplete websites. When they complete the website development assignment and hand it over to the respective client, on many occasions, they forget to turn “no indexing” settings off. There is no benefit of optimizing such websites because search engine crawlers can't visit them because of the setting. So, before launching digital marketing campaigns, make sure that the web developer has reversed those settings successfully. An XML sitemap is actually an XML file consisting all the URLs of a site along with the additional metadata for each of them. It allows search engines to visit the different pages of your site easily and index them quickly. If you add an XML sitemap to your Magento site that has lots of product pages, you can easily get it or its pages indexed in search engines. You can use Magento extensions to create an XML sitemap for your Magento site. Images are widely used on E-commerce websites to help buyers have a look at the products they are going to buy. However, using too many unoptimized images can consume your valuable bandwidth and make your site slow, which affects the performance & the ranking of your site. Whenever you use images on your E-commerce site, just trim their sizes and resolution. Furthermore, you need to add the relevant ALT attributes to the images. It helps search engines to construe the images easily and add them in search results, which gives your site great SEO benefits. Active content marketing is the key to gain success in the E-commerce business. It is your content that helps you to convince the potential buyers and encourage them to purchase from your site. If you run an E-commerce site that receives lots of traffic and orders from customers, you need to develop a full-scale infrastructure and human resource for the creation and publication of user-friendly and valuable content regularly on your site. It helps you to lift your site's ranking in the SERPs of search engines. You can also use the user-generated content to optimize your site. Add well-drafted meta description for all the content that you publish on your site. It appears in search results and motivates buyers to visit your site to see your offerings. A large number of tech-savvy people use different social media channels to get in touch with their friends, relatives, neighbors, etc. This allows entrepreneurs to use social media traffic for the enhancement of E-commerce sales and business promotion. A website with a strong presence on leading social media channels is likely to be preferred by Google when it has to display results for keywords used by the people. So, you must add social media buttons to your E-commerce site using Magento extensions and share your prominent posts on different social media channels. If your posts are liked and shared in bulk, it benefits your site a lot & helps you to enhance its ranking on search engines. People love to browse faster websites. It helps them to look for the information/products easily. Google also prefers fast loading websites as it thinks about user experience. So, if your site is slow, Google will not add it or its pages in search results. Even visitors hate visiting such sites. As a result, your site's ranking starts to decline little by little. Clear unnecessary website database from time-to-time. These are some useful tips to make your Magento site SEO friendly. These are fundamental tips only. If you want to gain more SEO benefits, it will be better for you to have an SEO executive or a well-known Magento development firm by your side. Linda Wester is a proficient web developer working with a leading custom Magento development company. She is also an avid blogger who loves to share her knowledge in the form of articles, tips and tricks guide. To check out her latest publication follow Linda on twitter. Great post. These tips will help our developers in creating an optimized site with Magento platform. Very informative & useful one. Keep posting such posts that help many freshers as well as experienced.